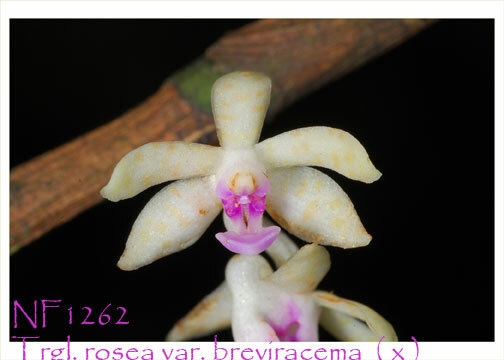 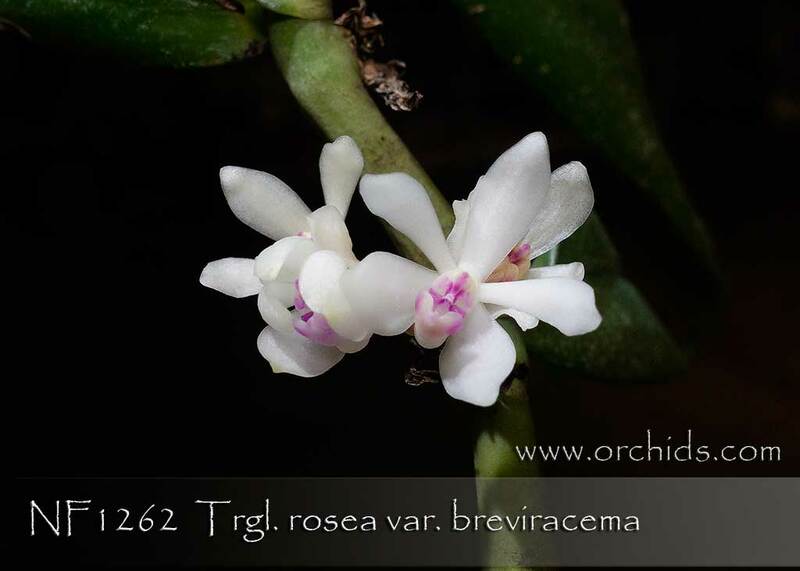 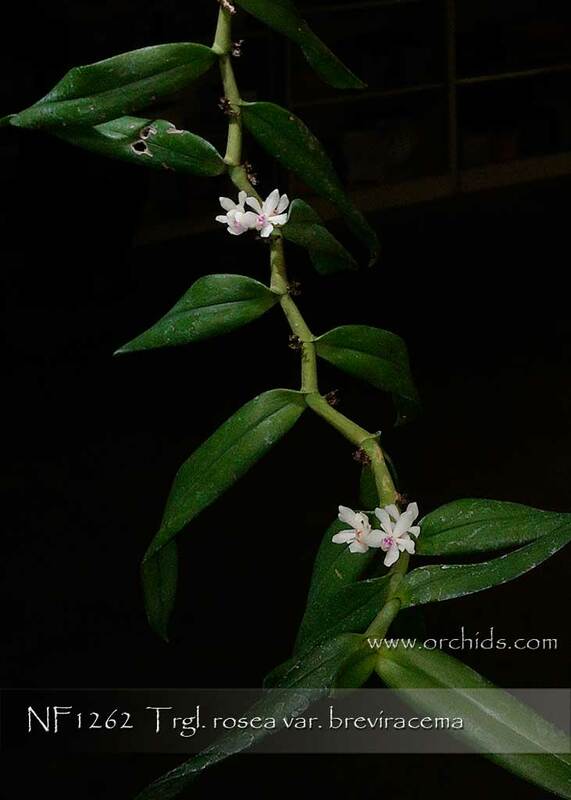 A native Taiwan species, formerly known as Cleisostoma rosea, this Trichoglottis species is found in forests on tree trunks at low elevations ! 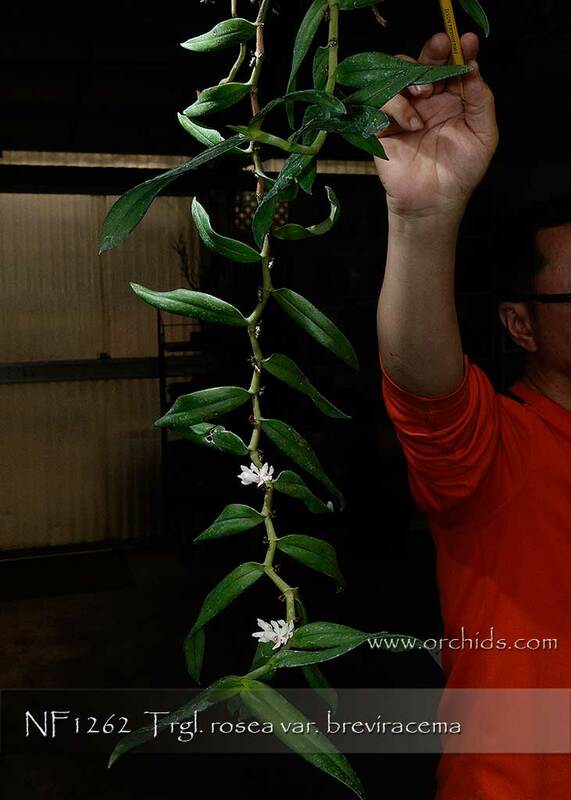 A small to medium size hot to warm grower, it produces its long-lived waxy flowers on pendant inflorescences in the spring. 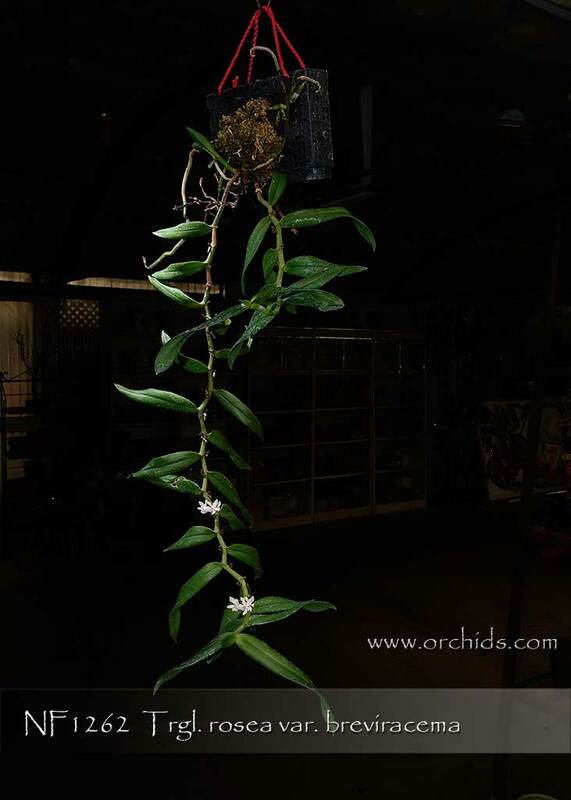 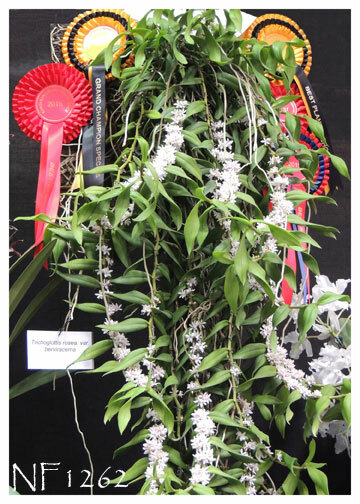 These particular plants are from the same strain that received the honor of Grand Champion and Best Species at the 2015 European Orchid Conference in London. 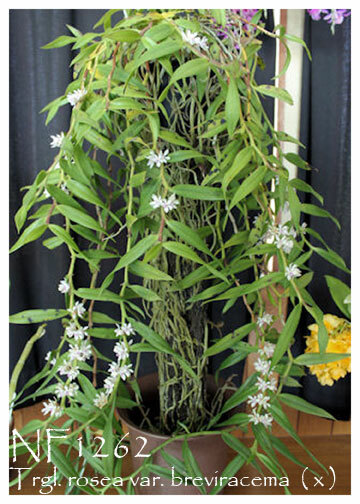 Mounted for their best flowering presentation, they will often bloom again from older, as well as newly matured, canes. 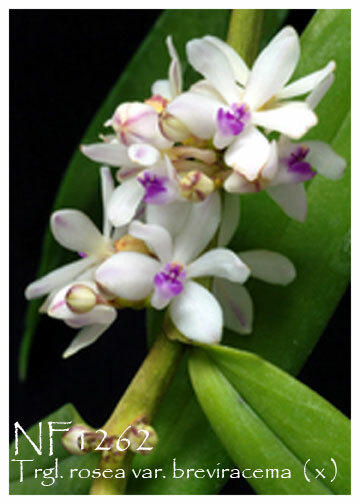 An easy grower under Phalaenopsis conditions and Highly Recommended !